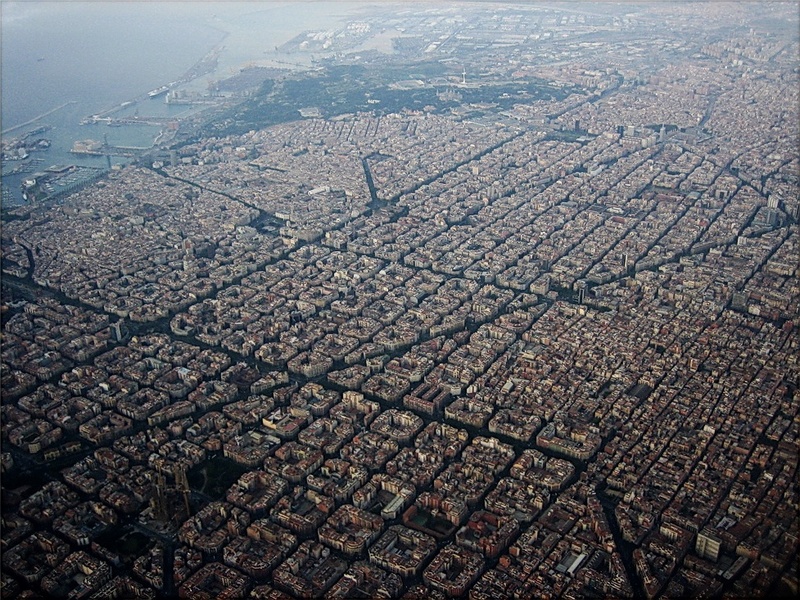 Reports suggest thousands of people in the Barcelona die prematurely due to poor air quality each year. At the same time, over half of the population lives with everyday noise levels deemed harmful. Sedentary lifestyles are also cited as a critical urban health hazard in the city. The plan to address these and other issues in the city is audacious yet conceptually simple. Essentially, nine-block clusters are blocked off to through traffic. Vehicles allowed down the internal streets are limited to 10 KPH, effectively the speed of a cyclist or jogger. Cars and trucks moving around the city are encouraged to bypass the interior of these new superblocks entirely. Parking within the these big blocks, meanwhile, is to be slowly moved off streets and underground. 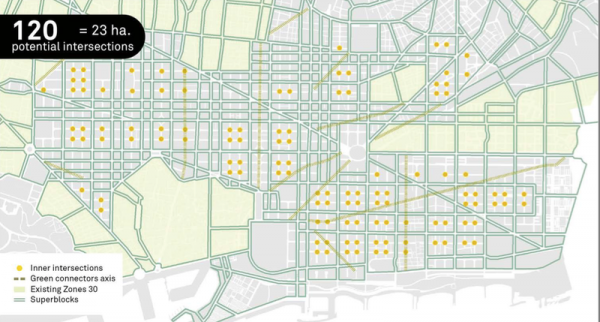 The famous Eixample neighborhood is one of the starting points for this civic redesign. 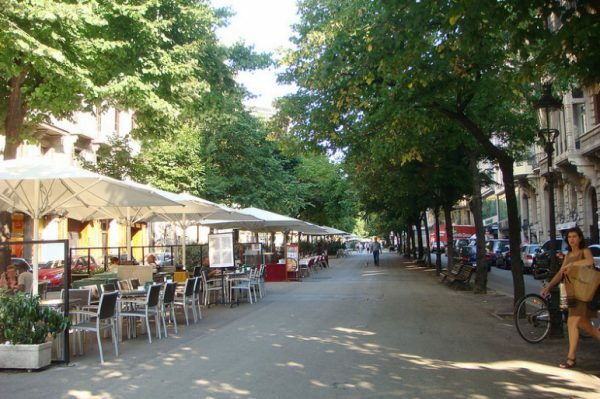 Its blocks were built large and designed to contain green spaces in the center, but the layout had unintended consequences: urban development led to surrounding streets being packed with traffic, fueling air and noise pollution. 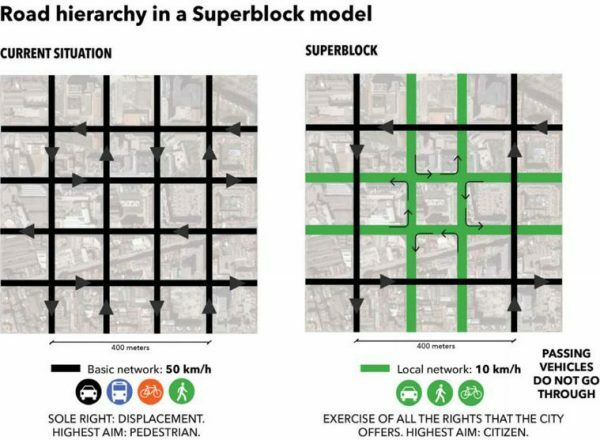 As old regular blocks become part of new superblocks, existing sidewalks and bike lanes are being expanded to take over the existing street space. Across the city, planners aim to add hundreds of miles of cycling paths and make sure pedestrians are never more than a few hundred meters from a bus stop. In total, they intend to free up more than 10,000,000 square meters of space currently used by cars. Critically, the plan is being deployed in stages as well to gauge results and adjust as it progresses. Initial phases will simply involve changing out traffic signals and signage to reflect new rules, costing relatively little while beginning to reshape the way streets are used. 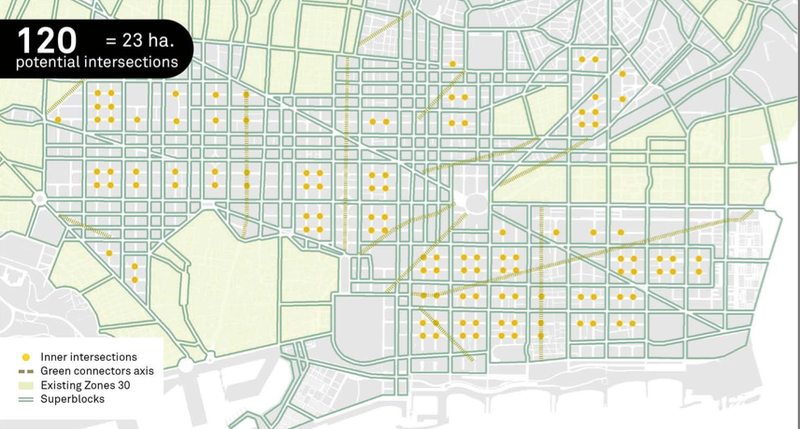 Interesting Barcelona is trying to enlarge their blocks while Salt Lake City is trying to shrink their large blocks. Glad someone noticed the parallel (or perpendicular) topics. The strategies, though, are actually more similar than they sound on the surface – in both case it’s a matter of having interior block activity (sliced up blocks with pedestrian paths and local access) within larger blocks! I was in Barcelona when I got this email (chuckling, because everything is ironic to me). As I took in the sights I wondered if you had yet done a show on Gaudi. It seems a logical choice. This is fantastic! I would love to see a whole episode dedicated to retrofitting current urban planning with clever ideas like this.